If you’re a fellow paid social media marketer, like yours truly, you likely know that LinkedIn’s self-serve ad platform, Campaign Manager, has migrated to a new user interface as of late. 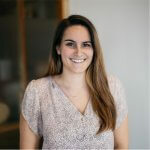 With change can come growing pains, but I’m here to help you navigate a few! 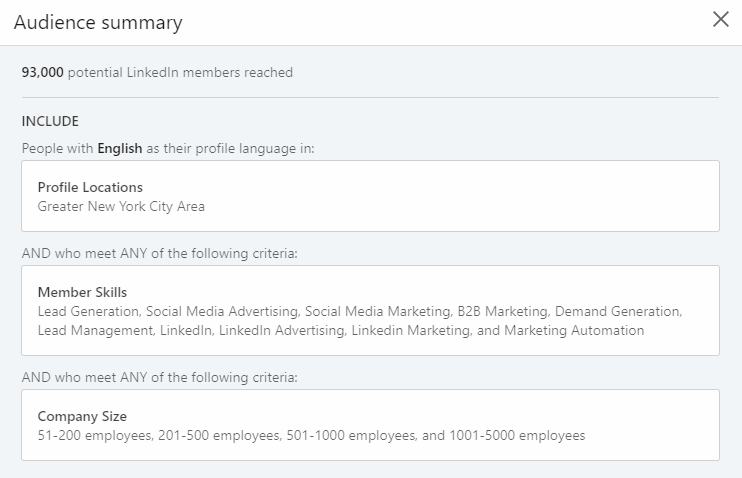 Check out a few hacks that my Paid Social team and I have uncovered in our day-to-day using the new LinkedIn Campaign Manager interface. In the old Campaign Manager UI, the ad rotation selection was much more apparent than the new UI. To find this option now, go to the Step 2 section (“Set Up Ads” after hitting the “Next” button at the bottom of the page). Previously, there was a drop down menu inside the campaign that would allow you to reactivate (and add additional budget if you hit total budget). In the new UI, you’ll need to make the selection in the Account view. 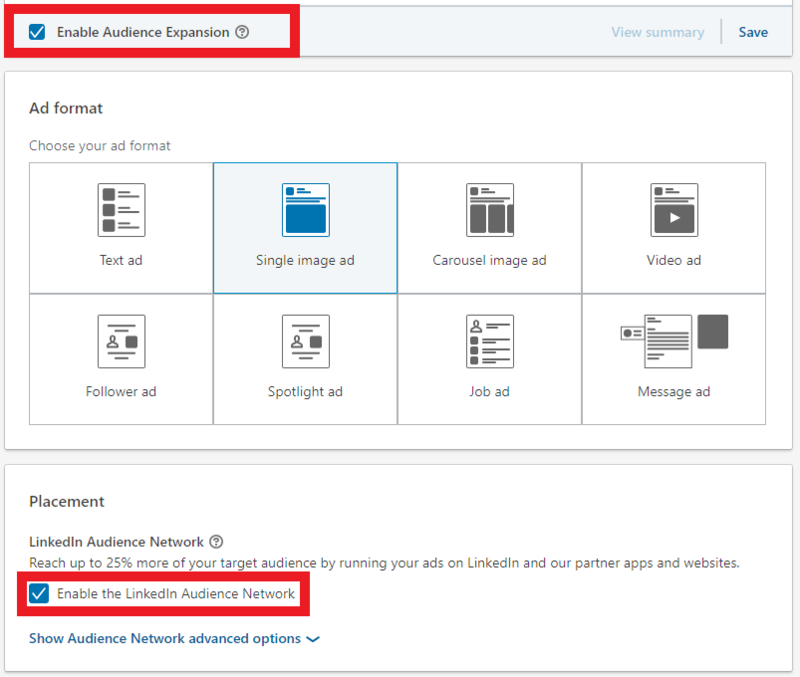 Note that if you want to deselect “Enable Audience Expansion” and “Audience Network” buttons, do so after you’ve selected the appropriate ad format. I’ve gone crazy knowing that I’ve deselected the buttons, and seeing them selected after making other changes to the audience. I love the concise audience summary that LinkedIn provides, especially when drafting audiences for clients. I’ll usually screenshot these and send to the client for approval. LinkedIn moved the old sidebar summary to a button called “View Summary”. The button is under all of your audience targeting details. In the same “View Summary” bar under all of your audience detail targeting, there’s a “Save” button to the right. 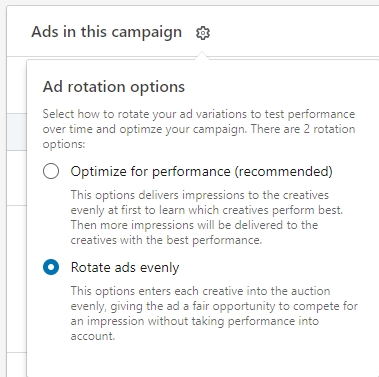 Note that this button will save your audience targeting as a preset, and will NOT save the rest of your campaign fine tuning. Be sure to hit the “Save and Next” button at the bottom of the page to save all the details of your campaign. LinkedIn will also ask you to confirm your objective and ad format before proceeding to the Ads Setup page. 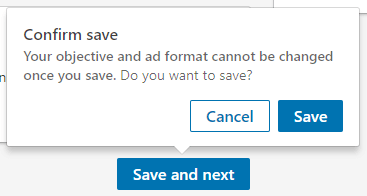 You cannot change your campaign objective or ad format once hitting that confirming “Save” button. The new Campaign Manager is here to stay (or so we’re told from the ominous gray bar on the top of the page). As time goes on, the new UI will become the norm and these growing pains will start to ease. And hopefully we’ll see more productivity! But with a little time, practice, and patience, we can all navigate the new UI for the better.